It seems like the only ruling that President Trump has not repealed from the Obama era was maintaining the status of PARDONED on the last year’s thanksgiving turkeys. While this may be good news for ‘Tater’ & ‘Tot’, we the people are facing a rather difficult time adjusting to the changes that are being implemented on our supposed behest. Net Neutrality. This keyword has been in debate for the last few months. 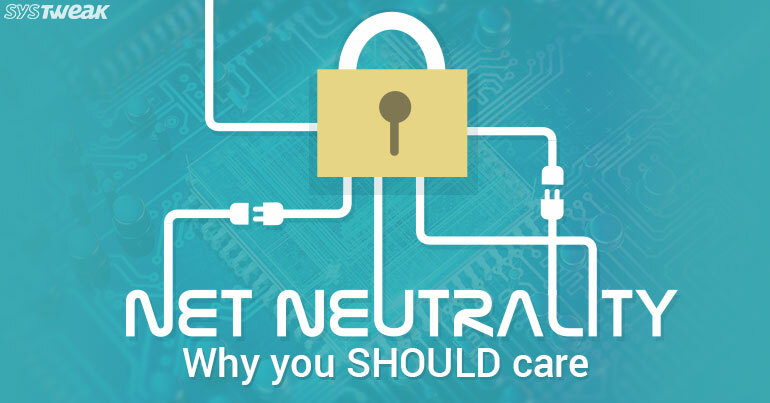 As it reaches a crescendo, one wonders what even is Net Neutrality? For what reason and why are the rules that have been in place need change? Any form of restriction on the bandwidth, takes away from our right to communicate freely when online. It acts as an influence over the content we view or post online. Similarly, ISPs will charge us extra fees to access sites. A few companies, be it social sites or news portals, who can afford to pay for preferential treatment, can downgrade everyone else to a slower bandwidth of service. This will destroy the whole concept of open internet! Also Read: Will Splinternet Actually Make The World A Divided Place? That’s what it is coming down to. Money. The one with the deepest pockets seems to be deciding what content a user can watch or not. One of the most iconic bands in Grunge rock, Pearl Jam had a dose of selective censorship about a decade back. While Eddie Vedder was singing his heart out as he performed at Lollapalooza in Chicago, back in 2007, AT&T muted sound for 2 lines from their performance. They did this in retaliation to the altered lyrics to Pink Floyd’s Another Brick in the wall and bashing of George Bush. Upon outrage by fans and the band in question, AT&T passed the buck onto a random third-party vendor issuing a blanket apology. This random example gives sign of the times to come. Will you allow corporates who have hidden ties with the capital to decide which content is suitable for us? Or which media portal we can use to post an image of our avocado toast? Are we living in a democracy or under dictatorship? While all hope seems lost, when you realize that you will soon have to pay extra to probably even access your email, that becomes the time when you rage. Rage against the upward wind. Rage and call your senator. Record your protest on their phone lines. Email them, bombard their accounts with emails explaining why you think this decision is wrong. Everyone knows that while Comcast, Verizon and AT&T may say they will not increase tariffs nor shall they show any partiality in broadband width, the question that arises is why even have a law in place unless and until they want to cover themselves under its umbrella while they can ply away our hard-earned cash with iron pincers. They are fixing something that is not broken!! This isn’t the first time when such un-ethical overturns were backed by ISPs only this time it looks like they are in Cahoots with the Federal Communications Commission (FCC). Time and again, they have tried to curb our freedom so that they can squeeze out every dollar from us to access what is now free. This freedom which we enjoy currently in deciding which site or portal suits our needs, just may be stopped by them if they have any conflict of business with any party involved. Big Brother is watching. Just don’t let him dictate what you can watch too. -This site does the heavy lifting for you. Swim the #NetNeutrality tag on Twitter. Seriously, it’s helpful. Lastly, GET THIS TRENDING. It’s trending on Twitter but it needs to trend on all social media platforms too. This is everyone’s issue.